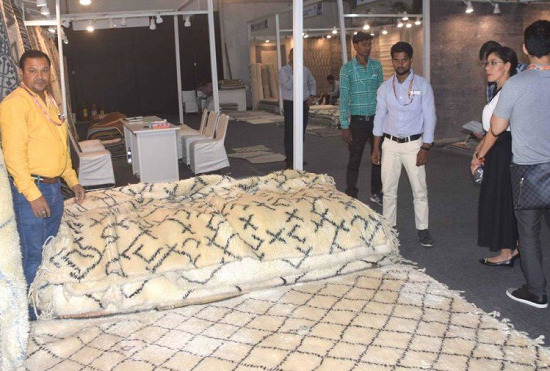 Handmade carpets, rugs and other floor covering under one roof are one of the major sources of income of India as Indian export is one of the largest handmade largest fairs in Asia. Recently our Prime minister Narendra Modi also take initiative towards this sector and addresses by video conference, the Carpet Expo at Varanasi. As this year India carpet Expo is being organized at Deendayal Hastkala Sankul, in Varanasi so PM addresses by noting that he mentions that it is the main center of carpet industry he also mentions Bhadohi and Mirzapur .he said there should be an effort to encourage handicraft, small and medium industry. He also said about great saint Kabir who too belongs to Varanasi and considered Varanasi as one of the major sources of playing a key role in this field. He also mentions India as the biggest producer of carpets and about 35% of global market share. He appreciated the carpet industries and motivated them and pleased with their performance as in Made In India Carpet which is known brand. In conclusion, Prime minister appreciated them and said that their hard work and skill are power as well as the strength of the nation.